Eastern Pennsylvania Youth Soccer will celebrate the 2018 year in soccer at the Annual Awards Banquet on Friday, February 22, 2019. In anticipation of the event, which will take place at the Sheraton Valley Forge, we'll profile honorees each day leading into the Awards Banquet. Today: Boys Travel Coach of the Year Roben Qawasmy and Girls Travel Coach of the Year Karla Schacher. 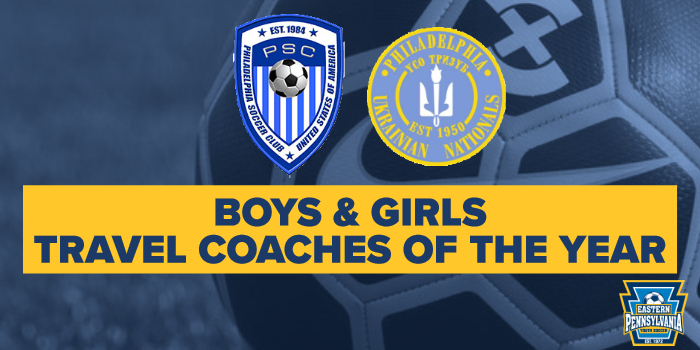 A longtime figure on Eastern Pennsylvania Youth Soccer sidelines, Roben led his Philadelphia Ukrainian Nationals Black team to new heights in 2018. When the Ukrainians defeated SDor Barca Elite (VA), 4-3, in penalties (coming back from 2-1 and 3-2 deficits in the process) in the East Regional final, they became the youngest team in club history--U13--to reach the US Youth Soccer National Championships. The Ukrainians played well in Texas, drawing with 1-1 with eventual national champions CDA Slammers (Cal-South). All the while, Roben emphasized hard work, sportsmanship and transferred his own love of the game to his players. For more information on the Philadelphia Ukrainian Nationals, visit ukrainiannationals.com. 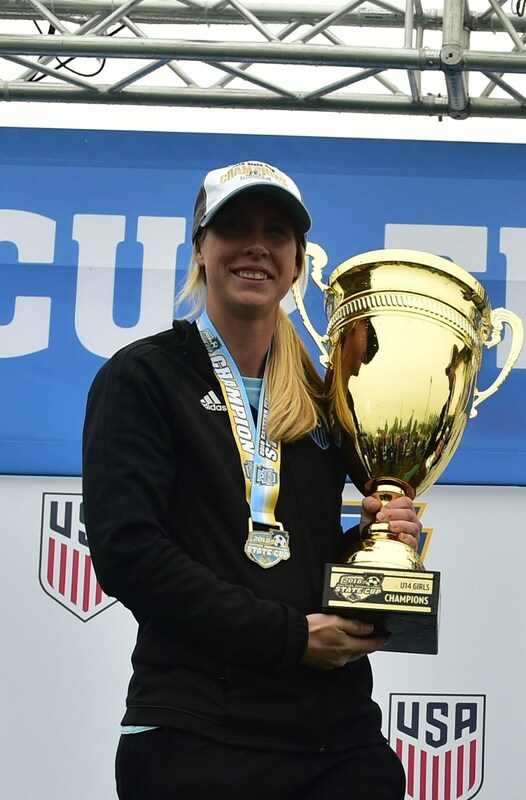 A former Canadian Women's National Team player and Rutgers product, Karla Schacher started working with Philadelphia Soccer Club Coppa Swarm as head coach in 2017-18. All she did was lead Swarm to a second consecutive State Cup title, an East Region title and a silver medal in the US Youth Soccer National Championship U14 girls division, the best ever finish for a Philadelphia Soccer Club team. Karla's leadership and organization proved invaluable for her young team as it posted 10 clean sheets in 13 US Youth Soccer National Championship Series games. For more information on Philadelphia Soccer Club, visit philadelphiasoccerclub.teamsnapsites.com.